The concept of effective stress is key for understanding the dependence of rock elastic and compaction behaviors on stress and pore-fluid pressure. Previous studies on the concept largely used data acquired on siliciclastic rocks. Carbonate rocks, however, display elastic and compaction behaviors that can be very different than those of siliciclastic rocks. For example, applying most velocity-to-pore-pressure transforms in the context of carbonate reservoirs can be quite challenging. Our study used an experimental approach (a disequilibrium compaction scenario) to assess effective stress coefficient (n) for velocities in three carbonate samples displaying comparable porosities but different dominant pore types (in terms of shape and compliance). Different saturating fluids (nitrogen and distilled water) were used, one at a time, which allowed us to compare both pore and fluid type effects on the coefficient n between these rocks. We found that n is generally bounded by unity. The exception is with nVs (n derived from shear wave velocities) obtained under nitrogen-saturated conditions; nVs is higher than 1 on the three studied samples. Under nitrogen-saturated conditions, the less compliant the main pore types in a given rock are, the higher the value of nVs is. Higher-than-unity values of nVs indicate a deviation from the behavior predicted by existing theories. This could stem from (i) the fact that theoretical analyses assume a pore fluid whose properties are not comparable to those of nitrogen and/or (ii) the way the bulk volumetric strain (a main factor in elastic wave propagation) is incorporated into those theories. A correction to this article is available online at https://doi.org/10.1007/s00024-019-02099-2. We acknowledge (1) Carbon Management Canada that provided a research grant to Dr. Gautier Njiekak and (2) NSERC and the Canada Research Chair program that supported the development of the measurement system. The samples were provided by the Saskatchewan Core Repository. We thank Randolf S. Kofman for his help in the laboratory and Dr. Tobias Mueller for helpful conversations and comments. We also thank the editor and the anonymous reviewer whose comments helped improve the manuscript. Al-Tahini, A. M., Abousleiman, Y. N., & Brumley, J. L. (2005). Acoustic and Quasistatic Laboratory Measurement and Calibration of the Pore Pressure Prediction Coefficient in the Poroelastic Theory. In SPE Annual Technical Conference and Exhibition. Society of Petroleum Engineers. https://doi.org/10.2118/95825-MS.
Berryman, J. G. (1993). Effective-stress rules for pore-fluid transport in rocks containing two minerals. International Journal of Rock Mechanics and Mining Sciences & Geomechanics Abstracts, 30(7), 1165–1168. Retrieved from http://www.sciencedirect.com/science/article/pii/014890629390087T. Biot, M. A. (1941). General theory of three-dimensional consolidation. Journal of Applied Physics, 12(2), 155–164. https://doi.org/10.1063/1.1712886. Boutéca, M., & Guéguen, Y. (1999). Mechanical Properties of Rocks: Pore Pressure and Scale Effects. Oil and Gas Science and Technology, 54(6), 703–714. Retrieved from https://ogst.ifpenergiesnouvelles.fr/articles/ogst/abs/1999/06/bouteca_v54n6. den Boer, L., Sayers, C. M., Noeth, S., Hawthorn, A., Hooyman, P. J., & Smith, M. (2011). Using Tomographic Seismic Velocities to Understand Subsalt Overpressure Drilling Risks in the Gulf of Mexico. In Offshore Technology Conference. Offshore Technology Conference. https://doi.org/10.4043/21546-MS.
Fjaer, E., Holt, R. M., Horsrud, P., Raaen, A. M., & Risnes, R. (2008). Geological aspects of petroleum related rock mechanics, 2nd Edition. Developments in petroleum science (vol. 53). Elsevier. https://doi.org/10.1016/S0376-7361(07)53003-7. Hill, R. (1952). The elastic behaviour of a crystalline aggregate. Proceedings of the Physical Society. Section A, 65(5), 349–354. Retrieved from http://www.scopus.com/inward/record.url?eid=2-s2.0-33144479510&partnerID=40&md5=f3fca9af23b090ae14c41f51eb28f185. Hornby, B. E. (1996). An experimental investigation of effective stress principles for sedimentary rocks. Retrieved from https://www.onepetro.org/conference-paper/SEG-1996-1707. Lemmon, E. W., McLinden, M. O., & Friend, D. G. (2011). In P. J. Linstrom, W. G. Mallard (Eds. ), Thermophysical properties of fluid systems in NIST chemistry WebBook, NIST Standard Reference Database Number 69, National Institute of Standards and Technology, Gaithersburg MD, 20899. http://webbook.nist.gov (retrieved 2008–2011). Njiekak, G., Schmitt, D. R., Yam, H., & Kofman, R. S. (2013). CO2 rock physics as part of the Weyburn–Midale geological storage project. International Journal of Greenhouse Gas Control, 16, Supple(0), S118–S133. https://doi.org/10.1016/j.ijggc.2013.02.007. Omdal, E., Madland, M. V., Breivik, H., Næss, K. E., Korsnes, R. I., Hiorth, A., & Kristiansen, T. G. (2009). Experimental investigation of the effective stress coefficient for various high porosity outcrop chalks. Retrieved from https://www.onepetro.org/conference-paper/ARMA-09-118. Robin, P.-Y. F. (1973). Note on effective pressure. Journal of Geophysical Research, 78(14), 2434–2437. Retrieved from http://dx.doi.org/10.1029/JB078i014p02434. Sayers, C. M. (2010). Geophysics under stress. Society of Exploration Geophysicists and European Association of Geoscientists and Engineers. https://doi.org/10.1190/1.9781560802129. Siggins, A. F., & Dewhurst, D. N. (2003). Saturation, pore pressure and effective stress from sandstone acoustic properties. Geophysical Research Letters, 30(2). https://doi.org/10.1029/2002GL016143. Todd, T., & Simmons, G. (1972). Effect of pore pressure on the velocity of compressional waves in low-porosity rocks. Journal of Geophysical Research, 77(20), 3731–3743. Retrieved from https://doi.org/10.1029/JB077i020p03731. Wang, H. (2000). 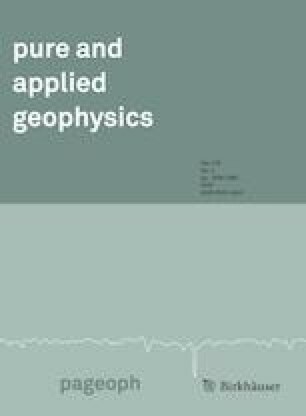 Theory of linear poroelasticity with applications to geomechanics and hydrogeology. Princeton University Press. Retrieved from https://press.princeton.edu/titles/7006.html. Wyllie, M. R. J., Gregory, A. R., & Gardner, G. H. F. (1958). An experimental investigation of factors affecting elastic wave velocities in porous media. Geophysics, XXIII(3), 459–493. https://doi.org/10.1190/1.1438493.